Refreshing Orange Mango Juice with whole fruits to start out the day! 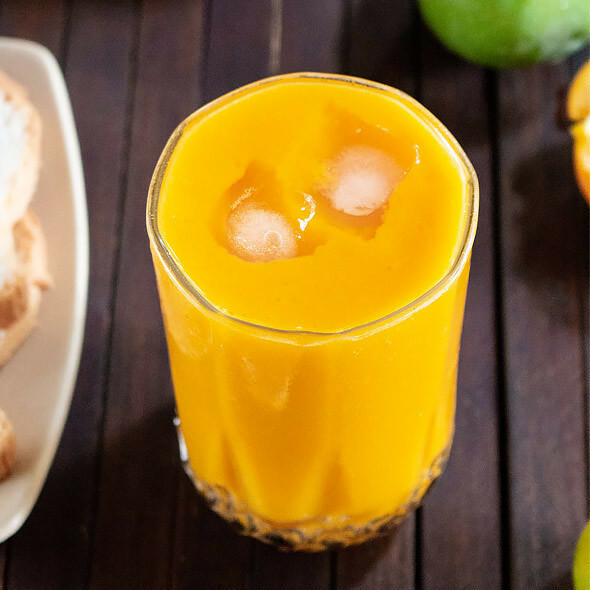 I love this thick tropical juice for breakfast or even during the day. Great to beat the heat and to get those nutrients to tan beautifully in the sun. Easy to prepare and so good!